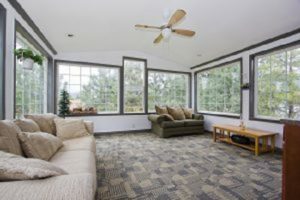 The Benefits of Decorative Window Film - American Solar Tinting, Inc.
Having big home windows is great, but not when everyone can see inside of your home! Decorative window film is a great, creative solution! If you are looking for a great way to switch up the look of your home, decorative window film is a great option. Decorative window film gives both the exterior and interior of your home a new look with gorgeous window designs that can accommodate anyone’s style preferences! If you still aren’t convinced, here are just a few great benefits of decorative window film. Not only does decorative window film add to the aesthetic of your home, but it also gives you extra privacy. Depending on what style you choose, your decorative window film can make it so that people passing by can’t see inside of your home. Frosted or stained glass decorative film are just a couple of options that increase the privacy of your home while improving its look! The sun’s harsh UV rays can do more damage than you may think. Not only can excess sun exposure damage your skin, but it can also damage your furniture. Too much sun exposure can cause the color of your furniture to fade prematurely, meaning you will need to replace it earlier than expected. Decorative film provides a layer of protection against these harsh rays, increasing the lifespan of your home furniture. Decorative window film can also help to decrease your energy bills since less sunlight will be able to get into the home. Decorative window film only takes a few minutes to apply to your windows. After this, you simply clean your window film as you would your windows, with a mild cleaner and soft towel. In addition to this, removing the film is as easy as peeling it back! If you decide you no longer want decorative window film or want to try a different style, you can easily remove your window film with no residue or mess left behind. Decorative window film isn’t only restricted to outdoor window usage. In fact, using this film on your kitchen cabinets is a great way to give your kitchen a fun, unique look! This allows you to have the great aesthetic that comes with glass cabinet doors without your guests actually being able to see what is inside of the cabinets, making your kitchen look better and more organized. Contact American Solar Tinting Today for Your Decorative Window Film! Tinted windows from American Solar Tinting will provide your workplace and employees protection from the sun’s harsh UV rays. American Solar Tinting has the expertise and equipment to keep your home or business decorative and beautiful with window film. We have almost 60 years of experience serving our wonderful customers without the Maryland and Washington, D.C. area. We offer a variety of solutions for you, whether you need residential window or glass tinting, logo graphics, or security films. For more information on how we can help you and your business, contact us online or give us a call at 1-800-969-0100. For more tips and tricks for your home and business, follow us on Facebook, Twitter, Google+, YouTube, and Pinterest. This entry was posted on Friday, November 9th, 2018	at 8:10 pm	and is filed under Decorative Films	. You can follow any responses to this entry through the RSS 2.0	feed. You can leave a response, or trackback from your own site.